The concept design for the new terminal to be built adjacent to the current Airside facility between Concourses C and D and scheduled to open in 2023, was unveiled to airport employees and the public. As part of a special board meeting and the annual State of the Airport event on Feb. 20, the Allegheny County Airport Authority Board of Directors approved a visionary concept design for the Terminal Modernization Program at Pittsburgh International Airport. It is based on a unique philosophy of nature, technology and community — NaTeCo — developed over the past seven months by the design team joint venture of architectural and engineering firms Gensler and HDR in association with luis vidal + architects. 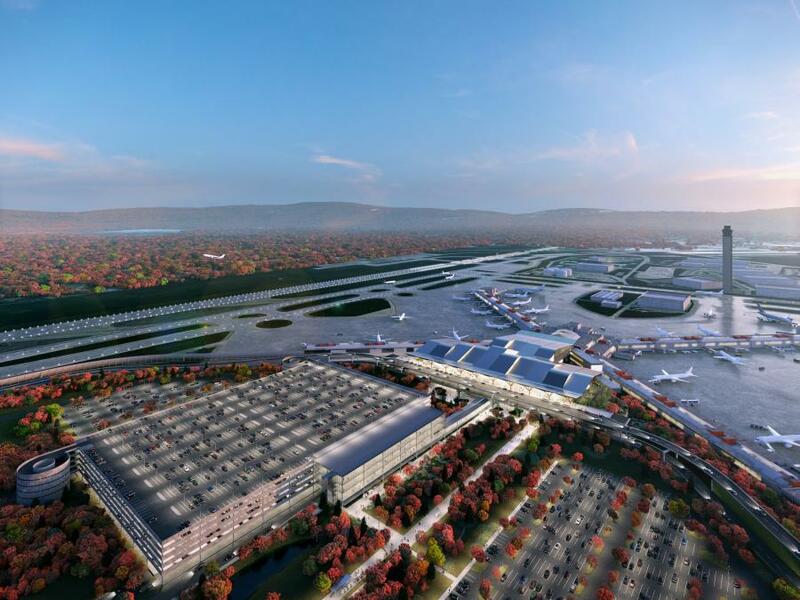 "This is a facility that truly reflects the growing Pittsburgh region and the renaissance that is ongoing here, including at the airport," said Rich Fitzgerald, county executive. "The story of this airport is really a story about moving our region forward — about creating new jobs, retaining ones that are already here and maximizing our assets for the highest and best use for our citizens without saddling local taxpayers with the bill." "This new terminal, inspired by the beauty, tech renaissance and people of our region will integrate seamlessly into the great design of the existing Airside Terminal," said Airport Authority CEO Christina Cassotis. "In considering this design, we looked at function first, then form, to construct a building that will be both iconic, practical and affordable and that can be easily adapted as the technology and transportation needs of our community change." The firms, which were awarded the design contract in July 2018, have been studying the Pittsburgh region and taking their inspiration directly from the rolling hills and rivers, neighborhoods and communities and new economic diversity that has led to Pittsburgh's re-emergence over the past few decades. 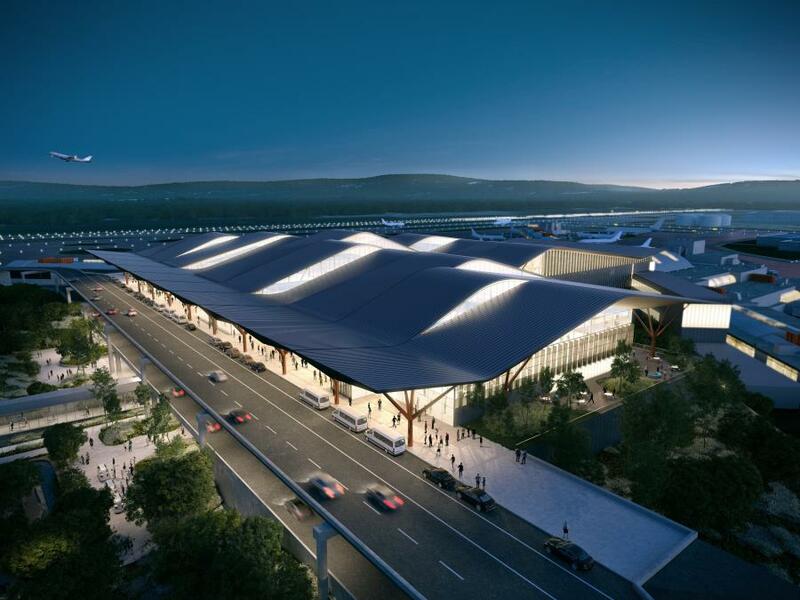 "I'm pleased to be part of this historic venture to bring all of these rich elements together at Pittsburgh International Airport," said architect Luis Vidal, founder and executive president at luis vidal + architects. "The combination of nature, technology and community form the DNA of the region and that should be reflected in the structure of the building to enhance the experience for all users and leave a memorable impression." Specifics of the design for the new terminal that consolidates check-in, ticketing, security and baggage operations into one connected facility, including square footages, will continue to be refined over the next phase of the project — Schematic Design — which is expected to run through summer 2019. The Airport Authority has engaged the community in the design process by forming Program Advisory and Best Practice Working Groups to solicit input and feedback about features of the new terminal. Outreach events and surveys were conducted this past summer in Market Square and at the airport's annual Holiday Open House in December. 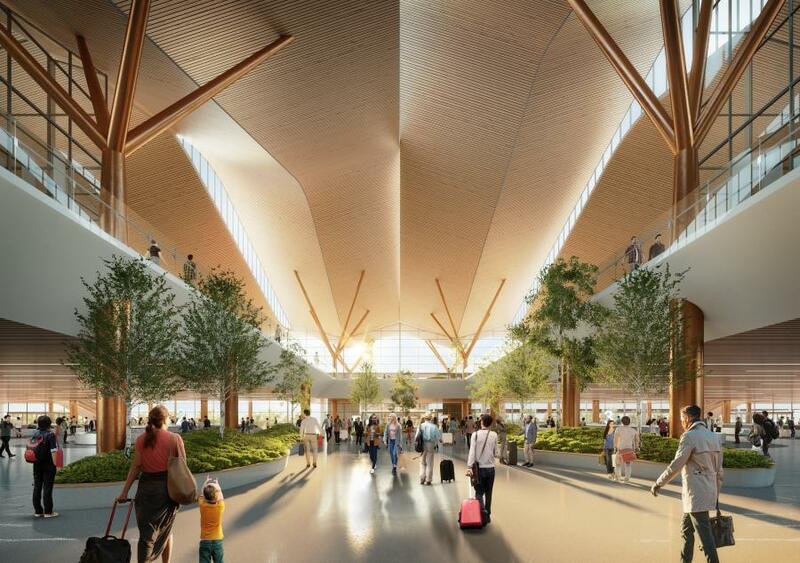 The team will continue to seek input on the new terminal throughout the Schematic Design phase. "We have worked very hard, and will continue working to further refine this concept that draws on the best features of the region, reflects its transformation and considers the future of aviation," said Ty Osbaugh, aviation leader and principal of Gensler. "This concept allows for a more modern, adaptable facility that will truly reflect and belong to Pittsburgh." Bill Peduzzi, vice president and aviation director of HDR, which will handle the engineering implementation of the design, said "the Pittsburgh region is unique and this modernization program will add another signature piece of infrastructure that represents our character and values as well as positions our region for continued growth and success in the future." For more information, visit www.pittransformed.com and www.BlueSkyPIT.com.